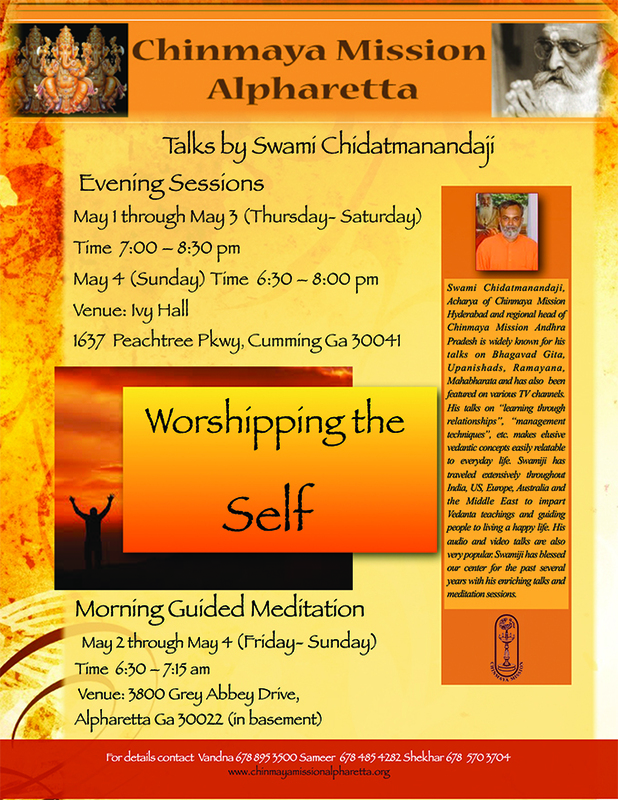 Chinmaya Mission Alpharetta Lecture Series May 1st - 4th 2014. Worshipping the self. Morning Session: May 1 - 3. Evening Session: May 2 -4.